Two Twin City Thunder players earn all-star honors. The Maine Nordiques signed defenseman Tyler Harvey on Monday, the NAHL organization’s eighth tender since announcing the new NAHL team last month. Harvey, an 18-year old from Durham, New Hampshire, has spent the past three years at Tabor Academy, a prep school in Marion, Massachusetts. He had five goals and 15 assists in 28 games this season. The previous two seasons, Harvey who’s 5-foot-11, 185 pounds, combined for three goals and eight assists in 52 games played. “He logged a lot of minutes transitioning into full-time hockey. What I mean by that is at the prep school level he played baseball and hockey,” Maine Nordiques director of recruitment and advancement Cam Robichaud said. “He has made the decision to move forward full-time (with hockey), to play in college with hockey. He dedicated last summer to that. Harvey becomes the Maine Nordiques’ third defenseman tender, along with Cole Ouellette and Derek Hessinger. This week’s trip to Woodridge, Illinois, will be two-fold for the Nordiques organization. The L/A Nordiques will compete in the NA3HL’s Fraser Cup after winning the Coastal Division on Friday. The Maine Nordiques will be scouting talent at the NAHL combine that’s also being held in Woodridge from Friday to Sunday for players at the U14 and U16 levels. A similar combine will be held in Attleboro, Massachusetts, at the New England Sports Village, the home of the Northeast Generals, for junior-aged players (those born from 1999-2003) from April 5-7. In addition to the coaching hires for the NAHL and the NA3HL teams, the organization also announced staff for the Maine Nordiques Development Program (MNDP) and other support staff for the three teams under the Nordiques umbrella. Brian Fahey will be the development team’s associate head coach. He will also be a scout and the organization’s billet coordinator. He was the head coach with the New York Apple Core, a Tier III junior hockey team in the Eastern Hockey League this past season. John Larnerd will remain the goalie coach, the role he filled when the team was known as the ISS Kings before the rebranding. Nolan Howe, the director of hockey operations for the Nordiques organization said a head coach has been hired for the MNDP, but he’s still currently coaching elsewhere and will be announced at a later date. Howe said the hire has pro and Division I college experience. MNDP will be based in Princeton, New Jersey, for the upcoming season before moving to Lewiston for the 2020-2021 season. Jesse Cook has been named organization’s strength and conditioning coach. He’s the president and director of performance for TPA Sports and also serves as head strength and conditioning coach to the Brampton Beast of the ECHL. Ryan Smyth has been hired as director of sports science. He runs the The Park Sports Facility out of Toronto, Ontario. Dave Parker has been hired as the equipment manager for the organization, a role he has filled for the University of New England’s men’s hockey team. 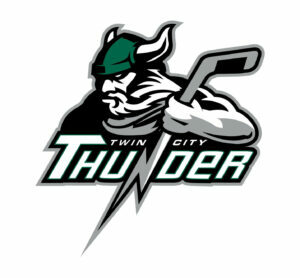 Twin City Thunder forward Zachary Desmarais and defenseman Etienne Crousle were named to the USPHL’s Northern all-star team, which is made up of players from the New England, Mid-Atlantic and Northeast Divisions. Desmarais led the Thunder in scoring with 27 goals and 31 assists. Six of his goals were game-winners this season, and 17 of his points came in the final nine regular season games. Crousle led the Thunder defensemen in scoring with seven goals and 32 assists. He committed to McGill University earlier this month.